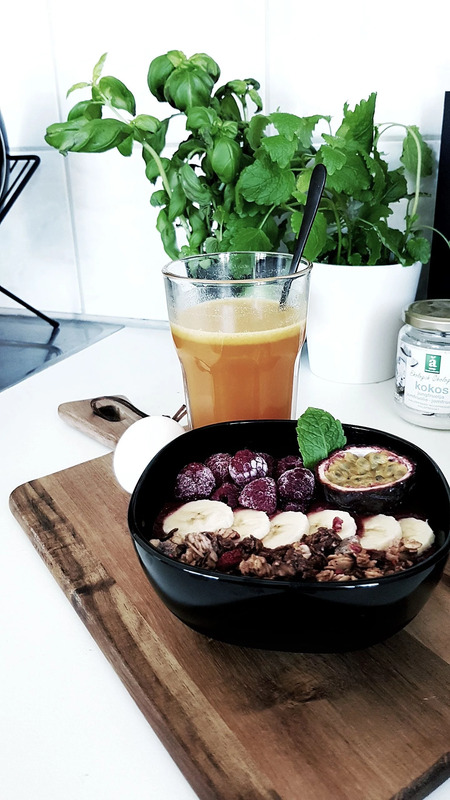 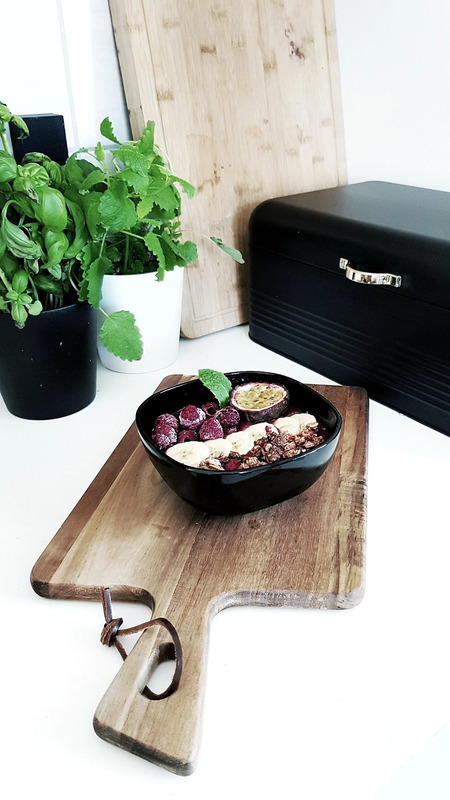 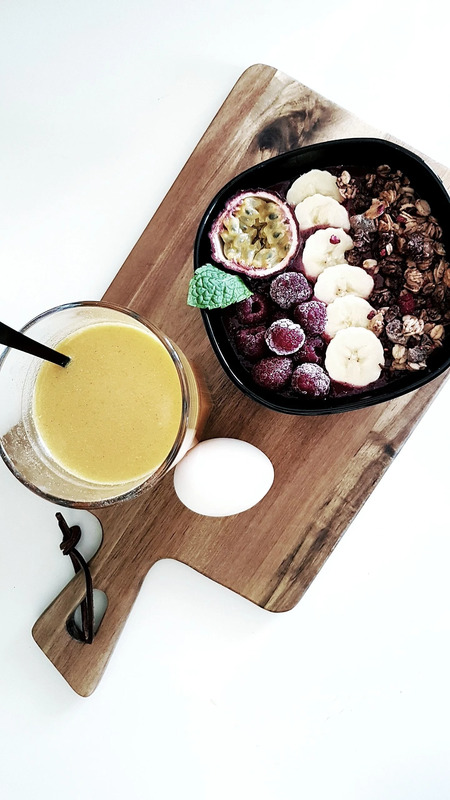 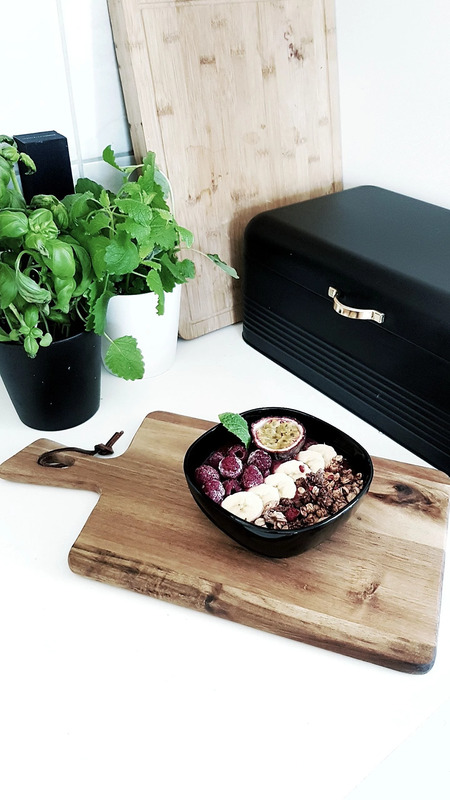 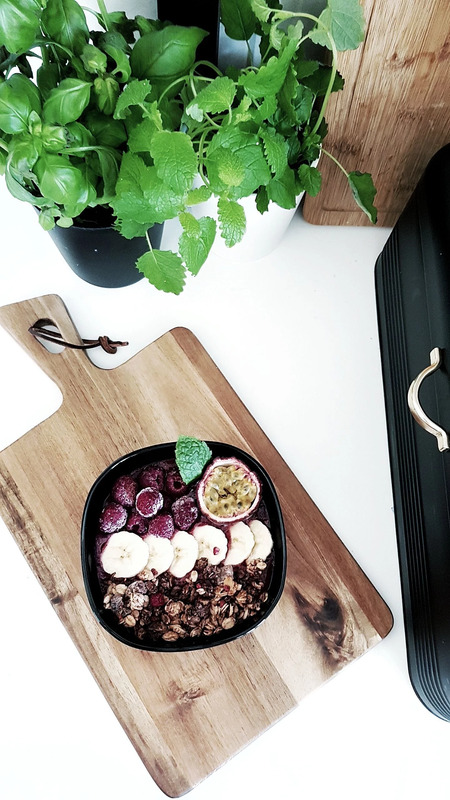 So this delicious fruit bowl was my breakfast today, along with 1 hard boiled egg and a "power coctail" that contain a lot of vegetables, vitamins and caffeine. 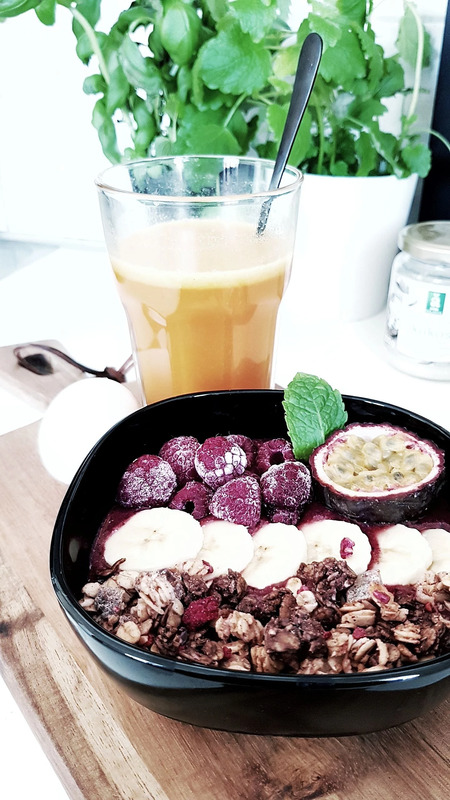 An awesome breakfast to kick start your day! 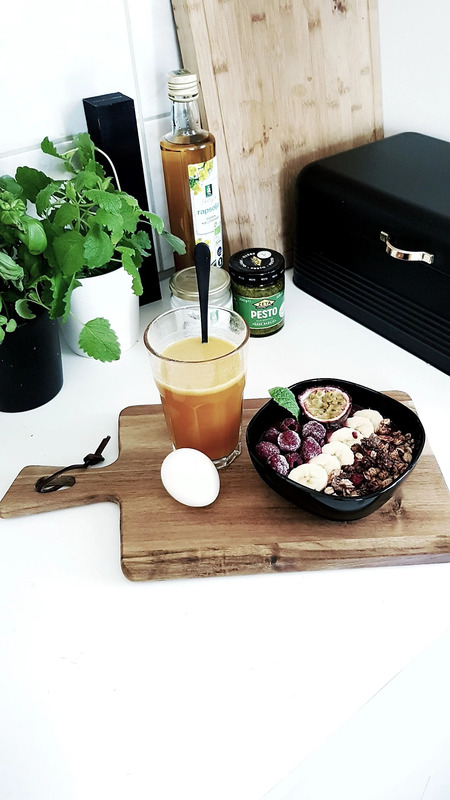 Top with the ingredients or something of your choice.